Android phones and other smartphones alike are packed with great features. In addition to providing wireless internet nearly anywhere you go, it has a host of other functions including listening to streaming music, driving with voice enabled turn-by-turn GPS navigation, and taking hands-free phone calls (assuming you have Bluetooth hardware). The challenge with most of these services is they require power hungry services that drain your battery, sometimes faster than basic chargers can supply power. The last thing you want is your smartphone to unexpectedly shut down while you're using turn-by-turn instructions in the middle of a vacation. The power hungry sources in include constantly using an active data connection, using GPS, using Bluetooth, and an active display. In case you weren't aware, we'll review the three commonly used smartphone features and the power sources they require. Streaming music from apps such as Spotify, Pandora, or IHeartRadio all require a constantly active wireless data connection. Driving with voice enabled turn-by-turn GPS Navigation such as Google Maps will require your GPS be on and constantly pinging for it's location. Additionally, the Google Maps leaves your smartphone screen on to provide up-to-date. Google Maps now automatically dims the screen when there are no active turning instructions, but only after the battery level is low. Taking hand-free phone calls via Bluetooth will require you to have an active Bluetooth connection, even when a call isn't active. So what's the Solution to Slow Android Charging? USB 3 specifications are designed to support up to 0.9A, with dedicated charging ports able to support 1.5A. However, these are merely specifications and there are chargers that can easily support anywhere from 1.0A to 2.1A. But a common question is, "Is this bad for my smartphone"? The answer for most if "No, it's fine", as modern smartphones can use a higher rate, which will result in a faster charge. So the solution to slow android charging is to purchase a high quality 2.1 Amp USB Car Charger. 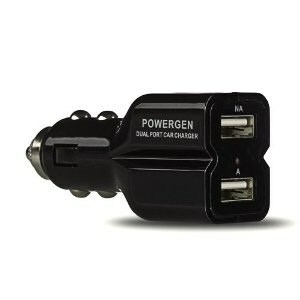 I went with the PowerGen® 4.2Amps that offers 2 ports that can be charged at 2.1 A. It got 4.5 stars out of 5 on Amazon with over 6000 reviews. It works well for my needs and I not only use it while commuting to work, but also out on road trips.